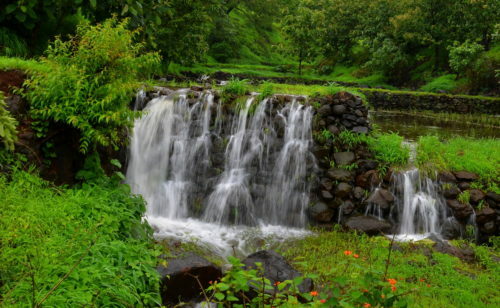 The beauty of Pune is that you don’t have to drive far to get out of the city and in the midst of nature. Every white road branching off from the highway has something interesting to offer. Most of us would have visited the Narayanpur Balaji temple dozens of times. That route is also quite scenic. 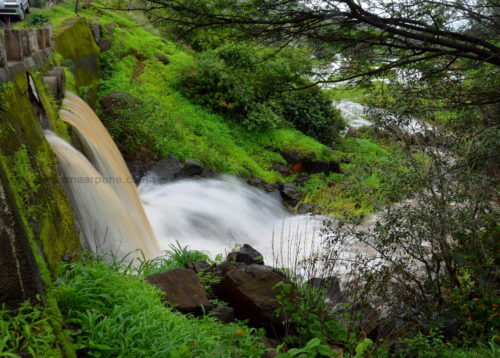 But, a small unassuming road branching off this from road takes you on a magical , green route untouched by the crowds seen at other popular monsoon destinations close to Pune. The route map: Go to Saswad. From there a road goes towards the Balaji temple beyond Narayanpur. A little distance into this road (a little after the village zila parishad building & ground), you will see a small road branching off to the left. 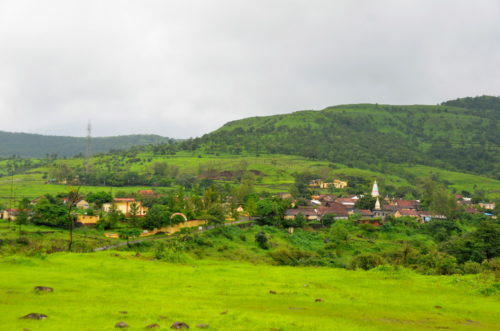 This road goes to panwadi. You don’t actually have to reach the village. The village is on an exit on this route. This road goes all the way to the Bangalore highway. The good thing is that at the point you reach the highway for a u-turn to return to Pune, you have a Vithal Kamat restaurant (try their Kamal Special Batata Vada!). What better than a good place for a snack break after a drive 🙂 You can then drive back to Pune on the highway or turn back into Naryanapur exit for a return through the balaji temple route (the right turn at this juntion is blocked on the highway, you have to drive for few kms to take a u-turn). 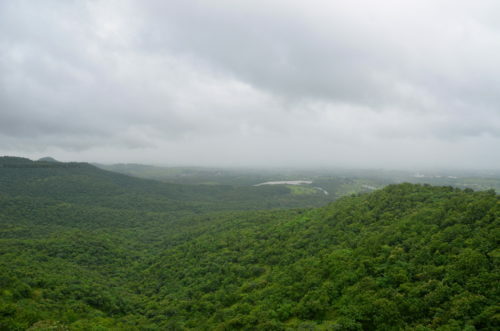 The last section of the climb down to the highway has dense jungles on the side. This view actually comes into view quite suddenly! This is not the route to go on if you are looking for big waterfalls. 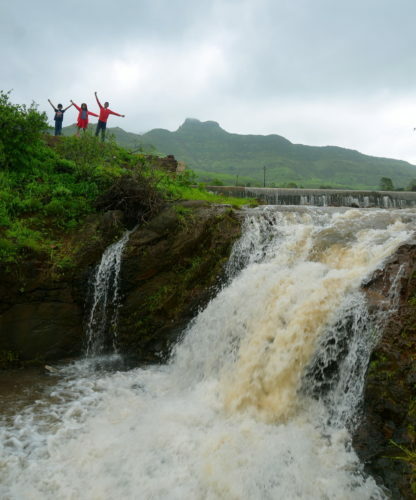 For that, you have to go to Thokarwadi. 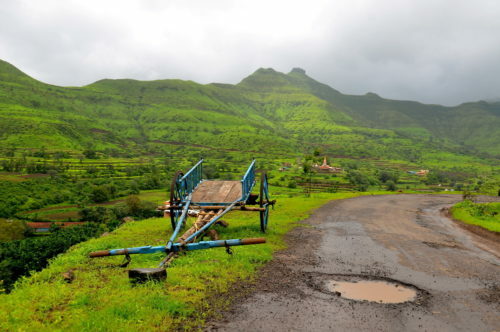 This route is more for a relaxed, scenic green drive! I saw only one big waterfall and this too was fed by the overflow of a bund upstream and so might not always be there. But this was good enough for the kids to have lot of fun! 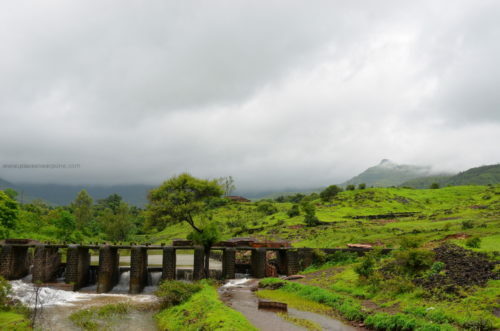 I am planning a trip to Ganpati Pule by road from Pune. Could you please suggest which would be the most picturesque route to get there? 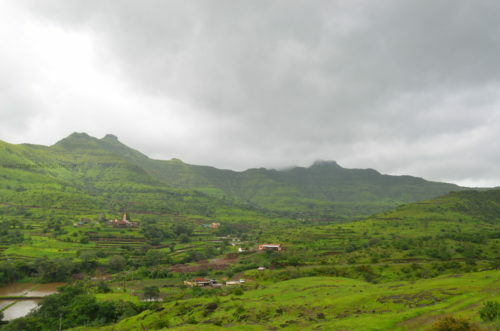 I have heard that the route from Wai and Bhor are both very nice, but can’t make up my mind.